Life is full of roads—paved and gravel, taken and not taken—but for over 300 high school girls who attended the Taking the Road Less Traveled Career Conference (TRLT) on April 28, 2016, there may be a few more to choose from. TRLT is sponsored by the Program for Women in Science & Engineering (WiSE) at Iowa State University (ISU), a group that collaborates with others on programming to increase the participation of women in science, technology, engineering, and math (STEM) fields. One of the goals of the conference (held multiple times in both the spring and fall) is to expand awareness of STEM careers. To do just that, the Midwest Transportation Center at the Institute for Transportation at ISU teamed with WiSE to offer the Ready, Set, Build! 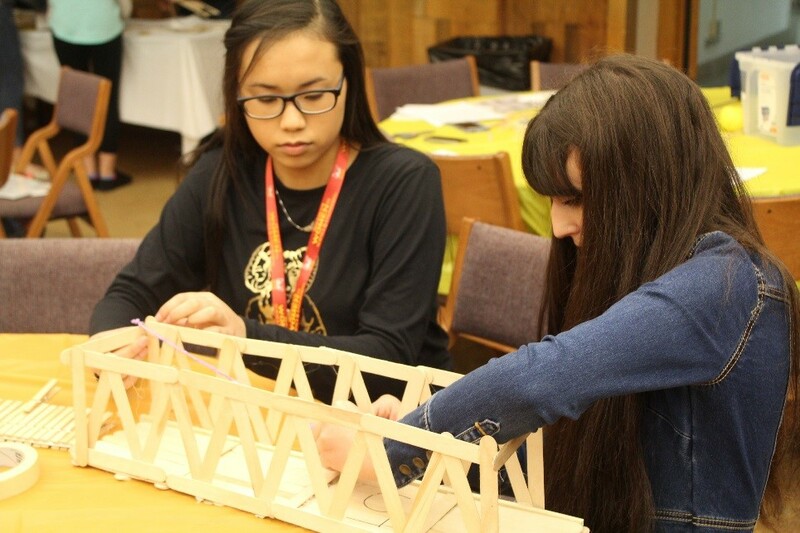 : Bridge-Building Challenge, which was first held at the Science Center of Iowa in November 2015. This TRLT workshop was attended by 60 students (grades 9-10). As the ultimate test of structure, strength, and style, the objective was simple: build a worthy bridge. In teams of 4-5, the girls designed and prototyped their bridges with provided materials (balsa wood, wooden clothespins, Popsicle sticks, hot glue, and string) in 1.5 hours. The bridges were then tested for the greatest structural efficiency. 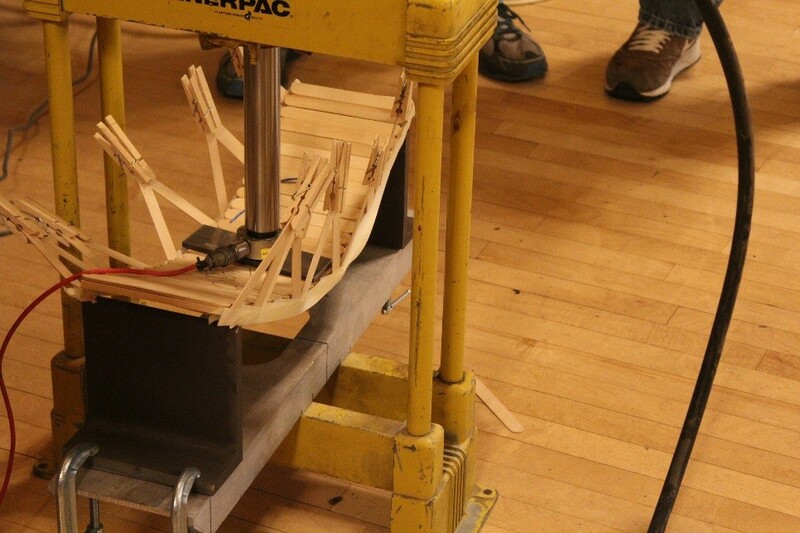 The winning bridge could hold 73 pounds and had a structural efficiency of 122, which, to give a comparison, is 20 times better than the bridge with the lowest structural efficiency (6.5). WiSE and its partners at the TRLT Career Conference believe in the power of opportunity and giving young women the option of looking into what STEM careers are really out there—maybe even bridge engineer?